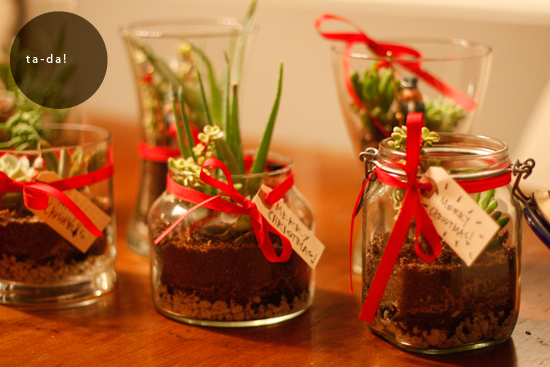 I've seen terrariums around quite a bit recently and it got me thinking about what a fun homemade gift it would make for Christmas. It seems every year that there are many people, in addition to best friends and family, for whom I want to show my love and appreciation. I decided early on that I wanted to give something a little more interesting and lasting than a plate of cookies for these special individuals. 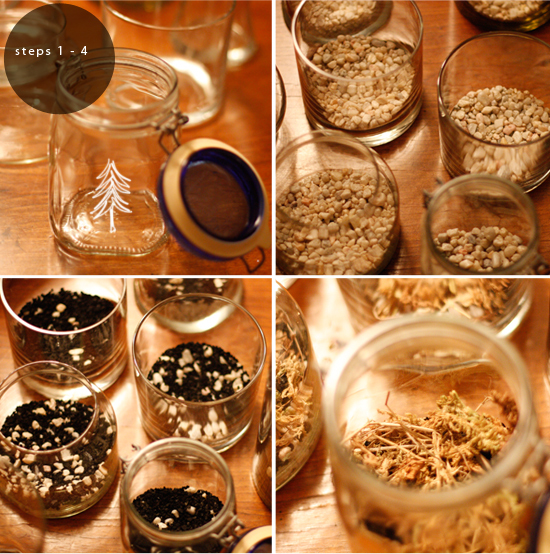 Enter the Christmas terrarium; cost effective, easy and fun to create, low maintenance, and adds a little bit of life to the receiver's home. First, round up your containers. Any glass container will work, I purchased all of mine from local thrift stores. Then add a layer of coarse sand or small pebbles. This provides a drainage area to prevent overwatering. Next, sprinkle a thin coverage of active charcoal (fish tank aisle of pet store) to prevent the water from stagnating, which will cause your plants to rot (bad news). After the charcoal, add a layer of moss. The moss keeps the soil from crumbling into the pebbles. I purchased a variety of inexpensive succulents from Home Depot. I love the way they look and they are also really hard to kill. 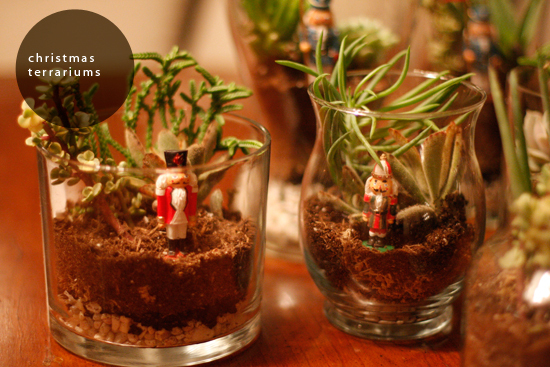 Finally, every good terrarium needs a kitchy figurine. 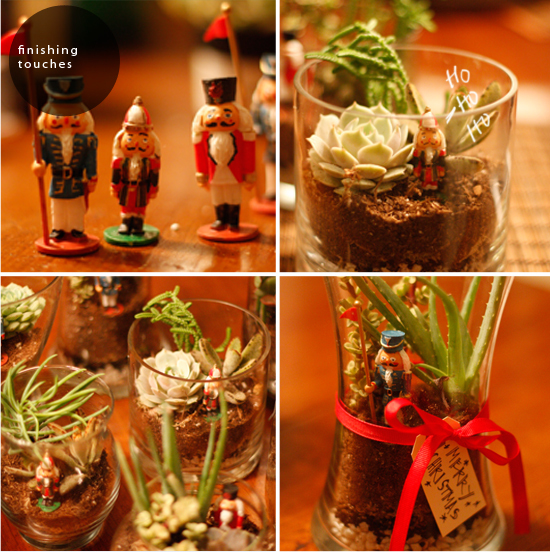 These nutcrackers were perfect to give my terrariums a Christmas twist. I added tags with a personalized note and finished them off with a simple red ribbon.